Master Instructors LLC and its Board of Review take pride in announcing a significant aviation accomplishment on the part of Nanette Gaylord, a Tulsa-area designated pilot examiner (DPE) and resident of Tulsa, Oklahoma, Colorado. Recently, Nan was accredited as a Master Ground Instructor (MGI) by Master Instructors LLC, the international Master Instructor accrediting authority. To help put these achievements in their proper perspective, there are approximately 93,000 CFIs in the United States. Fewer than 700 of them have achieved that distinction thus far. The last 15 national Flight Instructors of the Year were Masters while Nan is one of only 9 Oklahoma aviation educators who has earned this prestigious "Master" title. 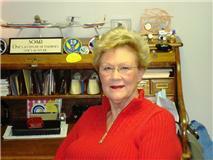 In addition, she is one of only 26 aviation educators worldwide to earn both MCFI and MGI accreditations. In the words of former FAA Administrator Marion Blakey, "The Master Instructor accreditation singles out the best that the right seat has to offer." The Master Instructor designation is a national accreditation recognized by the FAA. Candidates must demonstrate an ongoing commitment to excellence, professional growth, and service to the aviation community, and must pass a rigorous evaluation by a peer Board of Review. The process parallels the continuing education regimen used by other professionals to enhance their knowledge base while increasing their professionalism. Designees are recognized as outstanding aviation educators for not only their excellence in teaching, but for their engagement in the continuous process of learning -- both their own, and their students'. The designation must be renewed biennially and significantly surpasses the FAA requirements for renewal of the candidate's flight instructor certificate. "Serving Master Instructors since 1995"